Well, I do! I love coffee so much, I can't stand a day without it. There's something in it that relaxes my mind whenever I sit back and enjoy it. Coffee takes the most part of my corporate life, and even now that I have been doing freelance works. Who would have known that COFFEE is not just good for your active mind, but also for your skin? 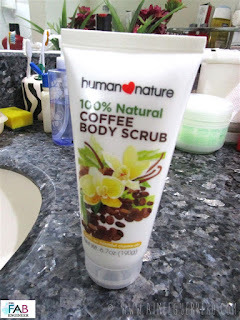 HUMAN NATURE finally releases there new Coffee Body Scrub that is 100% natural. 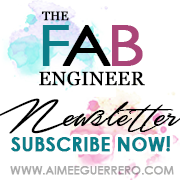 CLICK HERE to learn more about their natural ingredients. I did a few research on coffee scrubs and found out that it can make your skin tighten and toned. It can even remove cellulite... Hmmm. Now this one gets interesting! For a lady in her mid twenties, cellulite can be a starting problem, and yes, we do love coffee. So having COFFEE on your body that solves the cellulite problem IS AMAZING! While you won't ingest nearly as much caffeine when your coffee is on your skin instead of in your cup, the caffeine from used coffee grounds can temporarily reduce the appearance of cellulite and give your skin a firmer appearance. 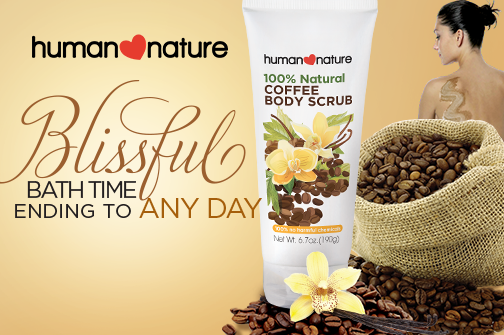 The HUMAN NATURE Coffee Body Scrub has that vanilla & coffee smell rolled into one relaxing scent. Don't you love these two together even with your latte? 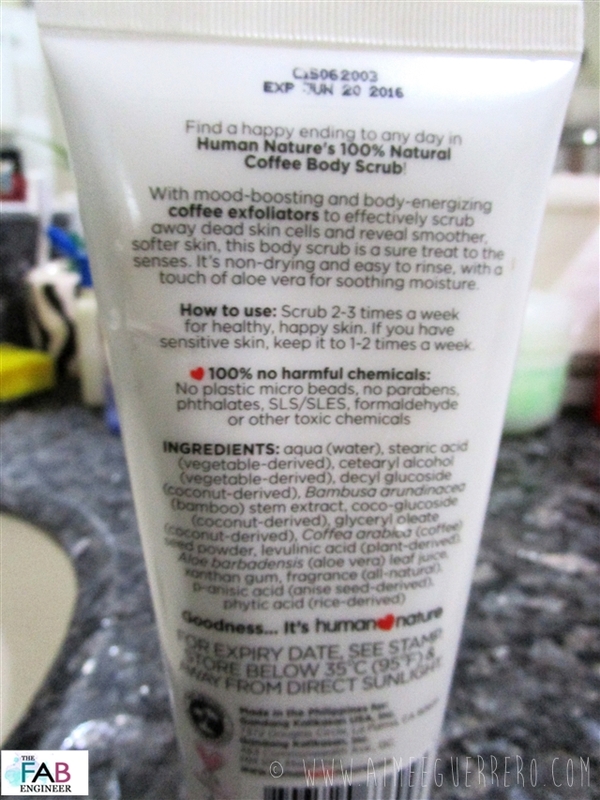 HOW TO USE: Scrub 2-3 times a week. For sensitive skin keep it to 1-2 times a week. It has that coffee "beads" that are not too small as I was expecting. The beads are very much felt through scrubbing but they are not harsh on the skin. Scrubbing feels so good with this. The consistency is not as thick as some scrubs that I have tried, actually, it's a bit light but not too fluid. When you start to scrub it on to the skin, it forms in an "almost" lather. 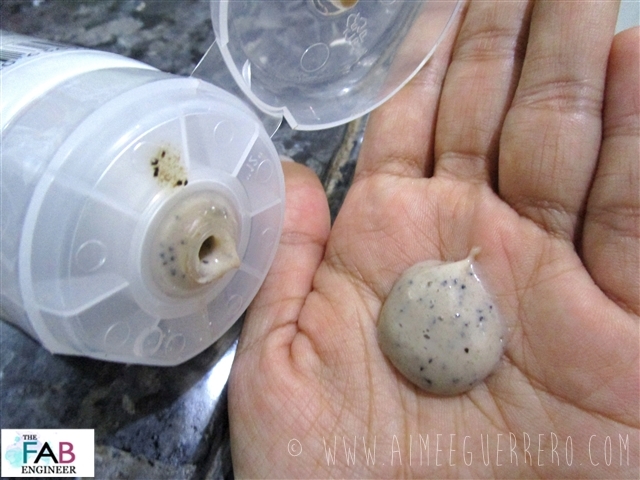 It can be used as a shower gel + scrub in one. 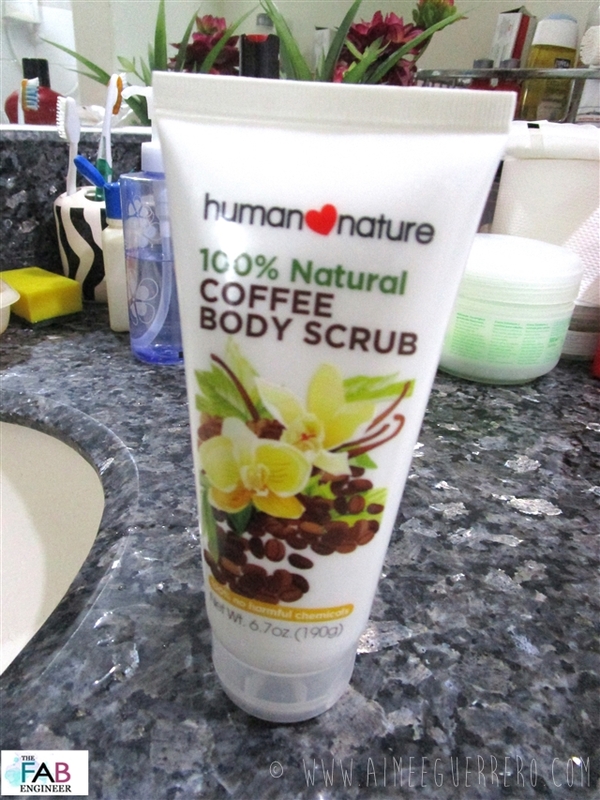 The HUMAN NATURE Coffee Scrub can be bought at any Human Nature Store or Human Nature Dealer at only Php 249.75. The promise of removing cellulite are AMAZING! You just have to continuously be using it. Consistency is not thick. Almost had mine spilled on the floor. May be limited due to great demand! Reserve yours now! and get up to 25% discount! Share your thoughts below and let me know if you love coffee on your skin!